Why should you sacrifice your time and money to attend a business conference? Specifically, why should you attend one like NextCon17, which explores the customer experience? Here’s how important customer experience (CX) is. A company’s financial gain could skyrocket from 25% to 95% if that company increases its customer retention rate by as little as 5%. Another striking statistic is that when people experience poor customer service, 89% of them no longer patronize that business. With these stats (plus the fact that improving customer service seems like common sense), you would think that CX would be a high priority for all organizations. But many brands struggle in this area and are losing large amounts of money as a result. This is why attending NextCon17 would be extremely valuable for your business. NextCon’s host, Nextiva, is a cloud-based communications company that serves over 150,000 businesses in the United States. Nextiva not only strives for excellent customer service in its own operations but also fosters that same quality in businesses throughout the country. These values are why Nextiva’s leaders have worked so hard to organize NextCon. Nextiva saw enormous success last year with NextCon16, which featured names such as Guy Kawasaki and Steve Wozniak. NextCon17 showcases a strong lineup of speakers. These thought leaders possess business acumen as well as considerable knowledge in the customer experience sphere. Nextiva’s CEO Tomas Gorny has an extensive entrepreneurial background, having founded several companies in addition to Nextiva, such as website protection company Sitelock. He has been Chairman and CEO of telecommunications company UnitedWeb for nine years and has been a board member of Endurance International Group for 10 years. Gorny is not only a veteran businessman but is also highly involved in promoting the success of small business globally. 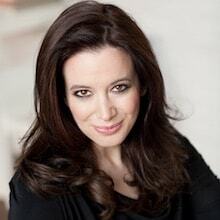 Carol Roth is a New York Times bestselling author and national media personality with a background in the world of investment banking. She now focuses on helping large brands (such as Microsoft and Bank of America) connect with smaller companies. She is a regular contributor to Entrepreneur, and Small Biz Trends included her in its list of Top 100 Small Business Influencers five years in a row. 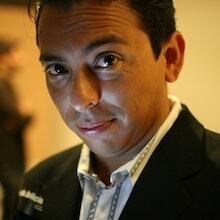 Brian Solis is the Principal Analyst and Futurist at Altimeter, a Prophet Company. Altimeter is a research and consulting firm that enables businesses to deal with and leverage disruption. A best-selling author, Solis focuses on how technology impacts business and society at large, helping companies profit from technological advancements. Neil Patel is a best-selling author and entrepreneur. He is the founder of Crazy Egg, analytics software that provides information to website owners on what their site visitors are doing. 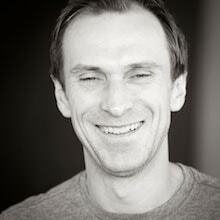 He is also the Co-Founder and VP of Marketing for the analytics platform KISSmetrics. Patel specializes in SEO, CRO, and digital marketing. Joey Coleman is the Founder and Chief Experience Composer at Design Symphony, a customer experience branding firm. Coleman’s primary focus is helping companies retain their customers. Design Symphony evaluates brands’ interactions with their clients, ensuring that those touchpoints are harmonious and cohesive. Micah Solomon is a customer experience speaker, consultant, and best-selling author who regularly contributes to Forbes. He is often a keynote speaker to business professionals on topics pertaining to excellence in customer service, such as corporate culture and creating five star customer service organizations. Mike Michalowicz is an entrepreneur and author of the books, Profit First, The Pumpkin Plan, and The Toilet Paper Entrepreneur. He is also the Founder of Profit First Professionals, a company that serves those in the finance industry. Michalowicz helps his clients differentiate their services as something beyond mere transactions. NextCon17 takes place on October 23-25 in Scottsdale, AZ. The venue is the Talking Stick Resort, which features a pool and spa, casino, and six onsite restaurants. Conference attendees get a discounted rate on their rooms, $179/night. There are two tracks you can sign up for if you would like to attend NextCon. One is General Access, which includes all of NextCon’s general sessions and breakouts. It does not include meals or the VIP event on Tuesday night. The VIP track includes everything the General Access package includes plus the addition of extra sessions with business and CX experts and free lunches Mon. and Tue. VIP attendees also get to attend an exclusive party and a concert featuring Bret Michaels, frontman of rock group Poison. Done well, conferences allow you to take a necessary break from the daily routine of your business.Click To Tweet You benefit from the perspective not only of the conference speakers but also of the other attendees. Your fellow attendees in return benefit from your experience. And that’s not to mention the networking opportunities and leads you can gather while there. NextCon17 is ideal for all business professionals who desire to foster a culture of exceptional customer experience in their companies. I was having no idea about NextCon17 but after reading your post I got an idea to attend this instead of attending a Business Conference. Your article is really helpful and worth reading. It is nice to see Brian Solis on the lineup. 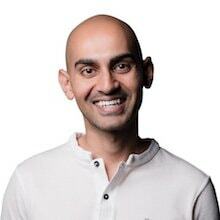 It’s good to see Neil Patel on the lineup. This is going to be a nice con.